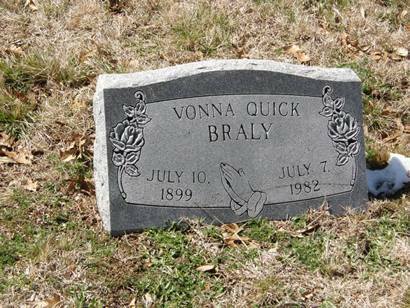 Lt. Braly of Brady, A Remembrance. Photographer Barclay Gibson recalled an article from the September 1998 issue of World War II magazine which told the story of Lt. Houston Braly of Brady, Texas. 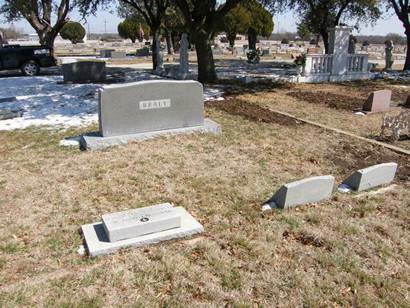 On a recent trip through Brady, Gibson made time to visit the cemetery and locate the grave of the airman. The facts related here come from the well-written article by Frank Perkins for the aforementioned magazine. The purpose for including the story in our pages is done so that younger residents of Brady might become acquainted with Lt. Braly’s story. 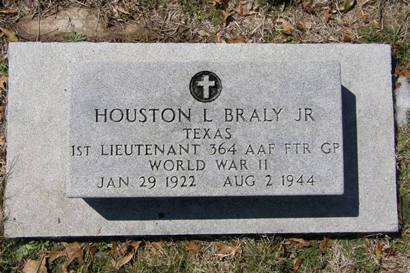 As the headstone states, Lt. Braly died on August the second, 1944, less than a month before the liberation of Paris. Braly’s group of P51D Mustangs, whose usual mission was escorting bombers over their targets, had spotted a camouflaged train of 18 cars sidetracked near the Paris suburb of Remy (population 1,600). The group of fighters made five strafing passes on the train, resulting in a huge fireball on the fifth pass. Some 400 German soldiers died in the blast which was so dynamic that it de-roofed most of the village’s homes and shattered the stained glass windows in Remy’s 13th Century Church. It was on the last pass that Lt. Braly’s plane emerged from the fireball without wings and missing most of its tail. It came to earth at a crossroads outside of town, skidded through a rock wall until it came to rest against a farmhouse. The family inside extracted the body of the dead pilot and hid it from the Germans who came to investigate. A local man took the propeller of the plane, polished it and inscribed it with information taken from the pilot’s dog tags. This was the Lieutenant’s first headstone. Under threat of punishment from the German commandant, the villagers buried the American with flowers from their gardens. Shrapnel from the blast had also killed a teen-ager boy, nevertheless, the people of Remy took the loss in stride, not blaming the Americans for the destruction. 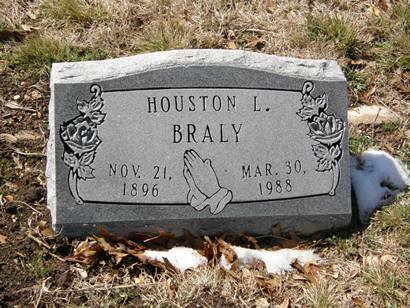 After the war, a comrade of Lt. Braly visited the airman’s grave. Impressed by the respect shown by the townspeople, he returned to America with the story. Lt. Braly’s siblings, as well as other squadron members formed a foundation called “Windows for Remy” to replace the church windows as accurately as possible. French and American planes flew over the village on November 11, 1995, creating the “missing man” formation. The crossroads where Braly’s Mustang crashed has been renamed “Houston Braly Carrefour” and a plaque was unveiled at the farmhouse where his plane came to rest. The group, still active at the time of the article had raised $113,000 of the estimated $200,000 needed for a complete restoration. 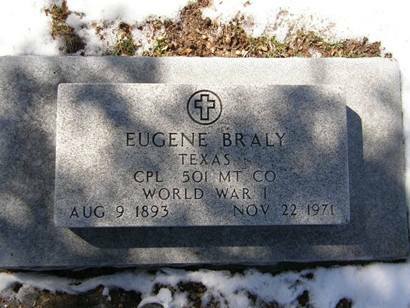 After the war, Lt. Braly’s remains were disinterred and moved to Brady, where they were placed under the standard issue veteran’s headstone. Tye headstone is adequate to mark the gravesite but woefully inadequate to tell the entire story of the 22-year-old pilot who came within 23 days of surviving the war.